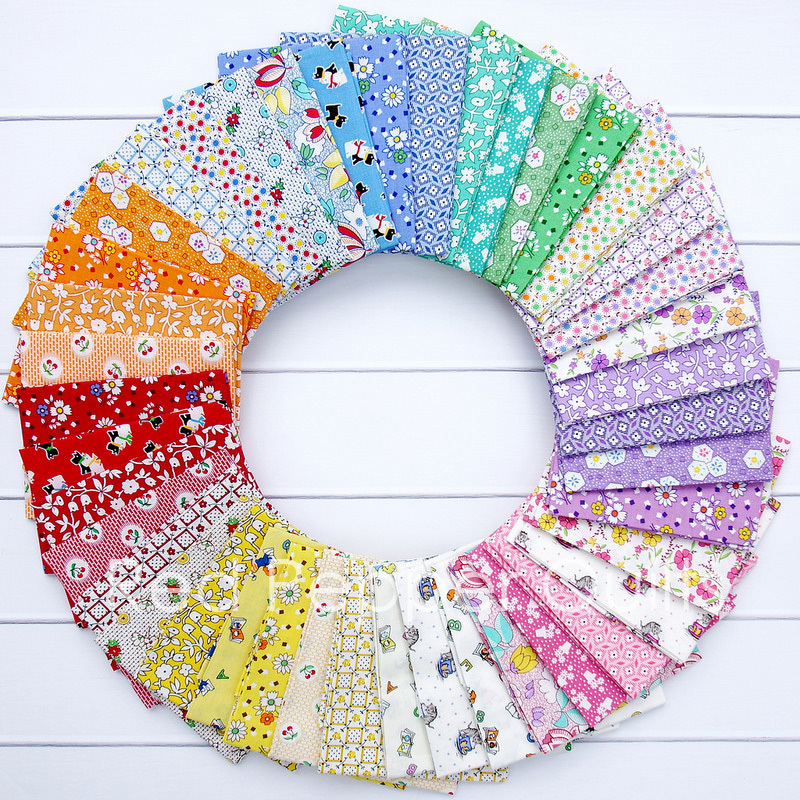 There's no denying that I love reproduction fabrics and they do represent a considerable portion of my fabric stash. 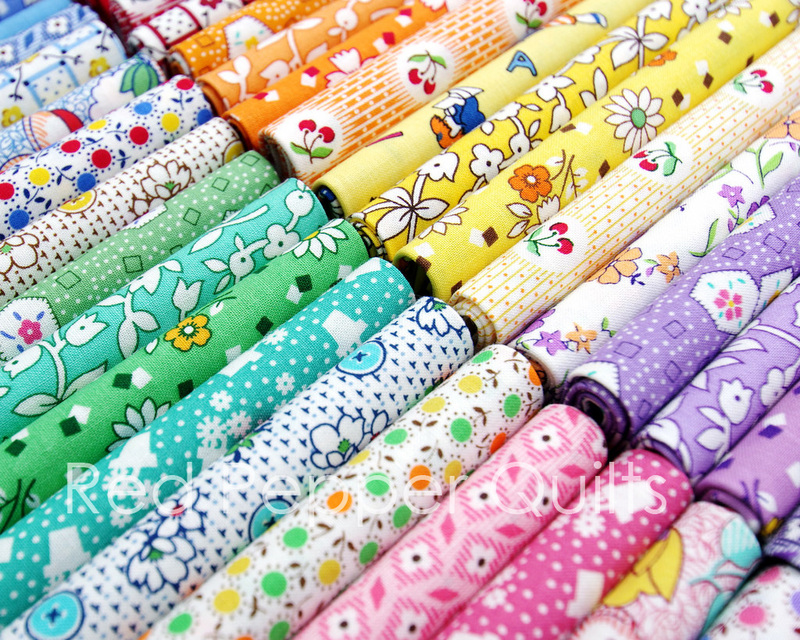 I love incorporating these into my quilts together with modern and contemporary fabrics. 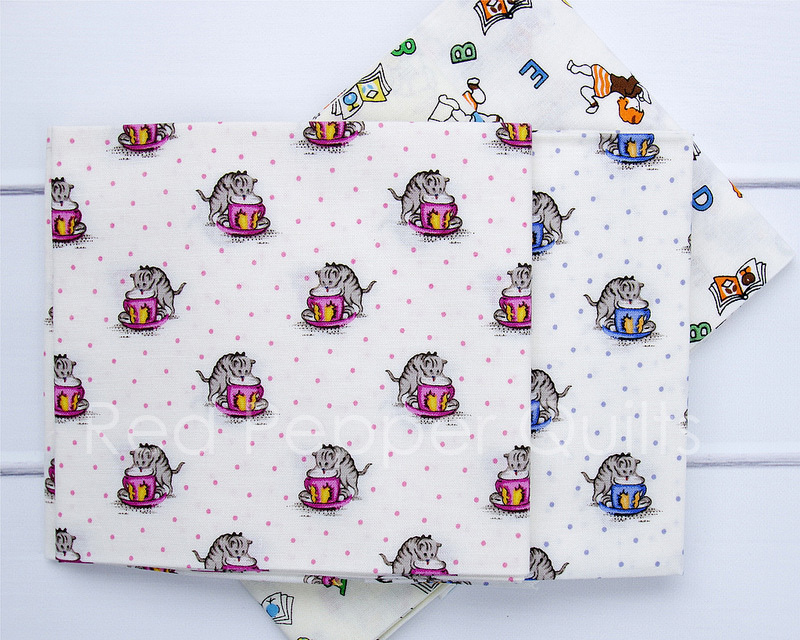 This most recent Aunt Grace collection is exactly that; a collection of classic 30's small scale prints reproduced in colors associated with the 1930's pre-depression era; purple, pink, yellow, green, blue, red. The cherries are so good (pictured above). 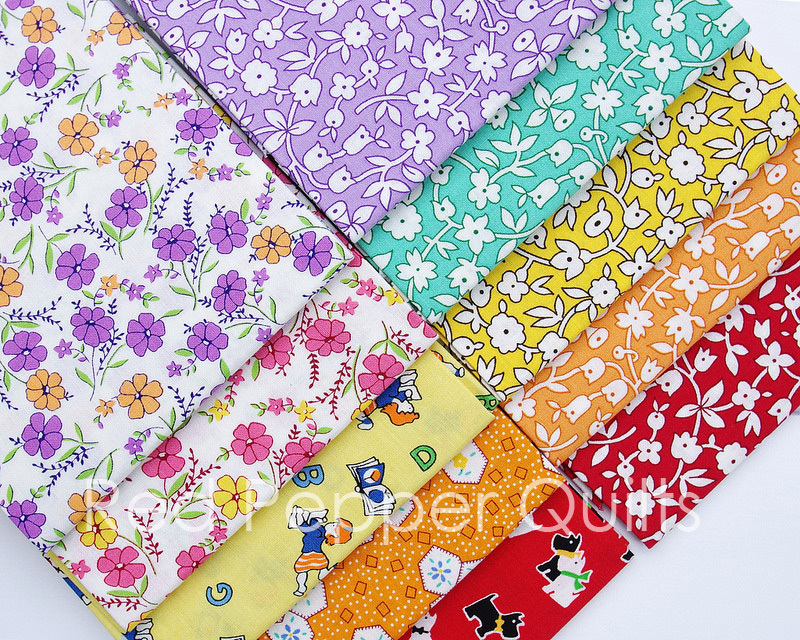 These small scale designs are great for introducing reproduction fabrics into modern projects. 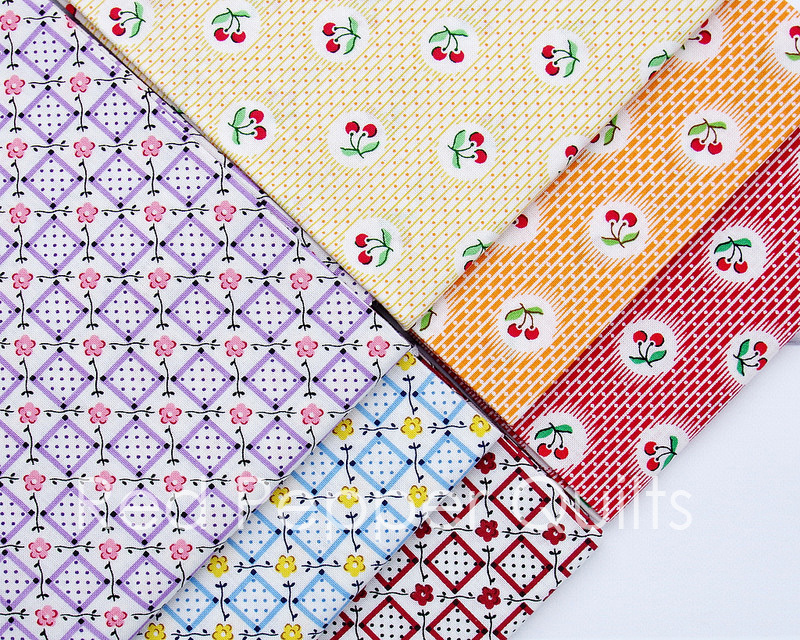 I use these fabrics as if they were stash basics (dots, checks, stripes etc), mixing modern and reproduction fabrics by color palette rather than by their designated era. Oh boy, that Aunt Grace collection just makes me drool. Love it so much. It's on my wish list now. Just imagining a quilt made from that with little matching throw pillows makes my heart go pitty-pat. 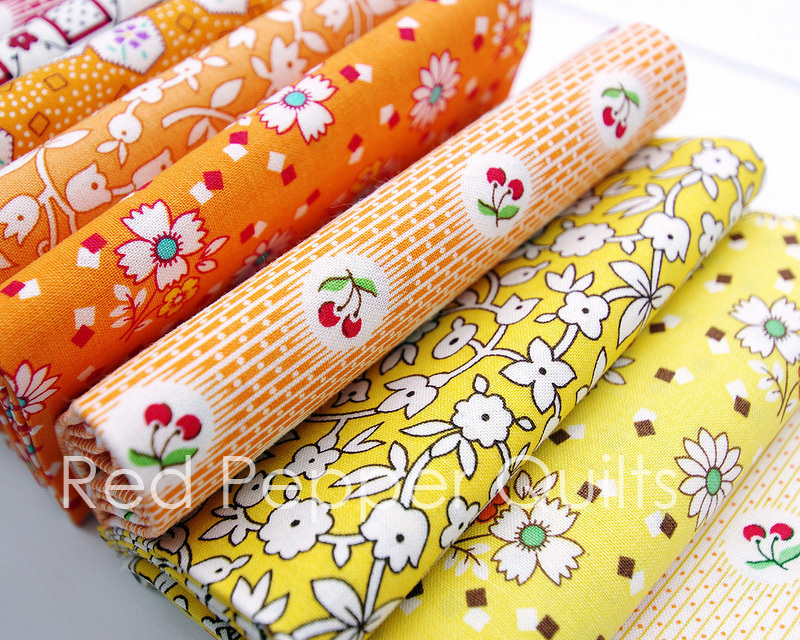 I think the cherries are my favourite prints from this collection too! Aunt Grace has to have the best 30s collections ever! I love everything they have. Thanks for the tips on sales!! The Aunt Gracie collection is a dream! 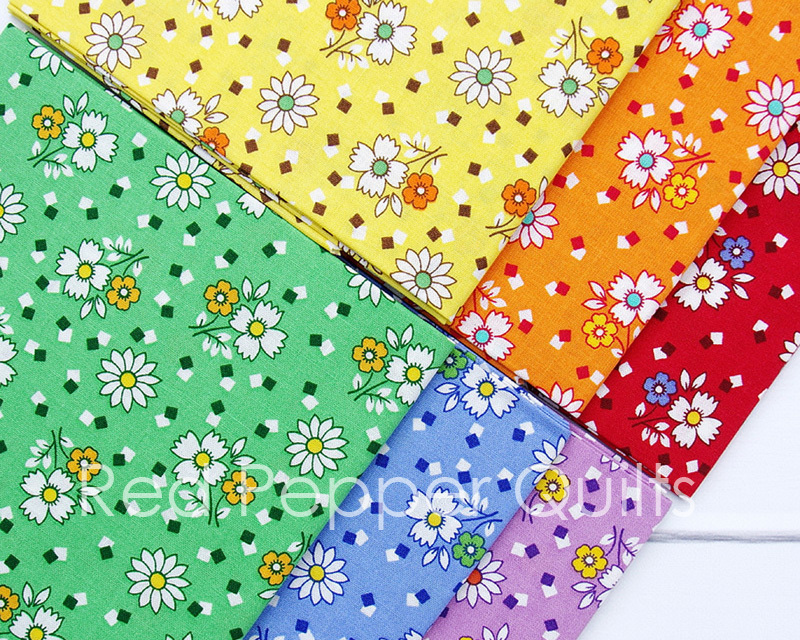 I like the daisies and tiny squares in all colors. I love the colors in this collection!